What is a Preliminary Hearing? What is Criminal Traffic Offense in Miami? Criminal Traffic is a violation which may involve incarceration of a defendant upon conviction. These types of offenses do require the defendant to appear in court and may face a variety of penalties including fines, probation, and time in prison. When an individual is thought to have committed a traffic violation that is punishable as a misdemeanor a criminal traffic ticket is issued and the person can be taken into custody if a criminal traffic offense is charged. According to Florida Statutes it is a criminal offense for any individual to be driving a vehicle in a state highway without a valid driver's license. The statute specifies the definition of driving as: a person operating or in control of a vehicle in any public place. It also defines motor vehicle as any "self-propelled" vehicle but that is not entirely moved through human power. Having a valid driver's license simple means that it is recognized by the Florida Department of Highway Safety and Motor Vehicles and that it is not expired, canceled, revoked, or suspended. No valid driver's license is a crime under Florida law, and it is classified as a 2nd degree misdemeanor. This type of misdemeanor can be punished with sixty days in prison and fine for up to $500. However, most cases do not receive a prison sentence, rather a permanent criminal record for the defendant. There are several key differences between what constitutes being charged with an invalid driver’s license and suspended license, as well as different consequences for each. In a no valid driver's license, the prosecution does not have to prove much just to show that there was no valid license issued at the time the defendant was driving. This is not difficult to do; they prosecution only needs to show a certified driving record from the agency responsible for issuing driver licenses. Another crucial aspect of a No Valid Driver's License charge and which distinguishes it from a suspended license charge is that this type of conviction is not used to classified a defendant as a "habitual traffic offender". In a suspended/revoked license case, once a person has several convictions during a 5-year period, they lose their Florida license for 5 years which again is not linked to the No Valid Driver's License charge. A no valid driver's license conviction stays in your criminal record and could be harmful to you in the future. Many employers, colleges, insurance companies, and other entities and individuals may look at your criminal record and it could limit your opportunities in the future. Getting a good criminal attorney for your case could help you avoid some of these consequences. If you are facing a No Valid Driver's License charge in Miami and surrounding areas of South Florida, contact Gallardo Law Firm as soon as possible for a lawyer consultation. 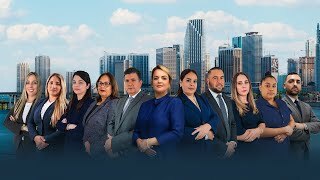 Our firm has qualified criminal lawyers in Miami who can help you regain your driving privileges and work to get all charges dismissed or amended to avoid criminal conviction. Is it a crime to drive with a suspended or revoked license? What are the consequences of driving with an invalid license? Driving with an invalid driver's license can result in serious consequences. The penalty you will receive for driving while your license is suspended or revoked will depend on how serious the violation committed is. There are certain guidelines listed under Florida laws to regulate this. According to Florida law, the first and second time a violation is committed; it is classified as a misdemeanor. In these cases, the defendant is subject to a maximum of 60 days in jail and $500 in fines. The third time the same violation is committed it is classified as a felony, which is punishable by a maximum of 5 years in prison and fines for up of $5000. In these cases, the prosecution has the burden of proven that the individual was aware that his/her license was revoked or suspended at the time they were driving. Ways of proving this include letters sent to the individual's current address notifying them about the status of their license. What options do I have if I really need to drive in Florida? If you are wondering how to get your license back, there are several options in Florida when your licensed is suspended. One of them is to apply for a conditional license, also known as hardship license. This type of license will allow you to drive to work and run necessary errands during the allowed time of the day. There are several steps to get this kind of license. You will need to petition the court in Florida for this license and complete any requirements set by the court, including driving courses, DUI classes, and so on. Another option is trying to get your license reinstated. If you are able to prove in court that you have overcome whatever situation caused you to lose your driving privileges and that you need you vehicle for business purposes; some judges may be willing to change or cancel your license suspension. If you would like to know which option you are a good candidate for, please contact our Florida attorneys today for a consultation. A known criminal traffic offense is reckless driving, this type of offense results in large fines and driving courses for the offenders. The amount of the fines will depend on the state where the offense is committed, for instance in Alaska the maximum set for first offense reckless driving is $1,000 while in Florida it is higher. There are other factors taken into account as well, such as the person's criminal history, driving record, and so on. In some cases, a conviction for reckless driving could end up causing revocation of your license and even require jail time. Just like a drink driver, a habitual reckless driver is often seen as a danger to the public. Many states treat this kind of traffic offense as a criminal offense, making their laws stricter and even making prison sentences mandatory for 3rd time offenders. Certain states, such as Virginia, it is a criminal offense to be driving over 20 miles per hour over the speed limit. There are other reasons you could be charged for reckless driving, such as refusing to take the breathalyzer test when you are stopped under suspicion of impaired driving. In these cases, when it is very difficult to prove drunk driving, the charged is usually changed to reckless driving. Some attorneys are able to create doubts in a case where the judge may be inclined to drop a DUI charge and change it to a lesser one, such as reckless driving. Whether you were actually driving recklessly or under the influence, if you are charged with this type of offense it will show on your criminal record if it was charged as a misdemeanor. Most states nowadays make reckless driving a misdemeanor, with just a few jurisdictions still treating it as a simple traffic violation. Attaching a license plate, sticker, or tag to a vehicle to which it is not assigned or issued is a 2nd degree misdemeanor in the state of Florida. The consequences for this offense are a maximum of sixty days in prison, a $500 fine, and up to six months of probation. There are different defenses that can be used in a Florida court against a charge of attaching unassigned an unassigned plate or tag. With the help of a good attorney, you should not have to plead to this type of offense. In fact, it is very difficult to prove that some attached a place or tag and even more difficult to prove that there person was aware that such plate or tag was not assigned to the vehicle. This cases need to be defended with the correct knowledge of Florida criminal traffic laws. Should I obtain a Criminal Defense Lawyer for a Criminal Traffic Offense in Miami? A criminal traffic offense should be taken very seriously, as it could lead to felony charges and even prison time. If you are being charged with a criminal traffic offense such as reckless driving, driving without a valid license, driving with a suspended or revoked license, attaching an unassigned license or tag, or anything else; you should contact a criminal traffic lawyer in Miami who has knowledge of Florida criminal law. At Gallardo, we have a Miami criminal defense attorney who is available to assist you with your case. For your convenience we have an office location in Miami. You can come to our office for a lawyer consultation. We also have legal counsel online who can provide advice for your case. We have seen license suspension cases that have been the result of administrative error. Make sure to perform a driver license check sporadically to check if license is valid. Criminal Traffic Offense Charge - Do I need an Attorney? What can happen if I am driving with a suspended license Florida? How long does a drivers license suspension last? Once an individual has had 3 or more convictions within 5 years, he/she is considered a habitual offender and will lose their license for 5 years. How can I get a restricted license? The state of Florida offers a conditional license, also known as hardship license. This type of license will allow you to drive to work and run necessary errands during the allowed time of the day. There are several steps to get this kind of license. You will need to petition the court in Florida for this license and complete any requirements set by the court, including driving courses, DUI classes, and so on. I've received a letter from Tallahassee; what do I do? Most likely if you receive a letter from Tallahassee it will contain information explaining how to resolve your suspension or letting you know that your license will be suspended on a given date. In some cases, if you had an accident you might get a letter saying that you must take a traffic collision course. You should follow any directions provided in the letter in addition to contacting a good traffic lawyer to ensure you regain your driving privileges as soon as possible. Where can I reinstate my driver license? If you had a license suspension due to non-compliance with a traffic citation in Miami, once you have complied with the citation you may visit any Florida Department of Highway Safety and Motor Vehicle Miami Dade County's Clerk Office locations to get it reinstated. If you have any questions regarding your case you can contact our attorneys at Gallardo Law Firm and they will assist you. Where can I request a hardship driver license? To request a hardship license you can go personally to the Florida Department of Highway Safety &amp; Motor Vehicles to obtain more information and you should also contact an attorney to assist you in requesting it. Here at Gallardo we have experience obtaining this type of license for our clients. Are the police legally allowed to search my car? A number of conditions have to be met in order for them to do so. A valid reason or your permission is needed; however, cars dont have as many protections against search as, for example, a home. A good example of this is when the police stop you for a routine traffic offense and the officer asks your permission to search in your car. You dont have to consent and clearly but respectfully tell them so. When you give them permission, the results of the search can be used in court. Nevertheless, if you are asked to step out of the car, you and the passengers need to do so. Does federal law prohibit distracted driving? Using cell phones while driving is forbidden by federal law and this is valid for all commercial drivers. However, in Florida the texting law is considered a secondary law, which means you can only be issued a ticket if there is some other violation with it such as running a red light while texting, etc. This violation is punished as a non-moving violation yet the driver will be penalized six points if a crash occurs.